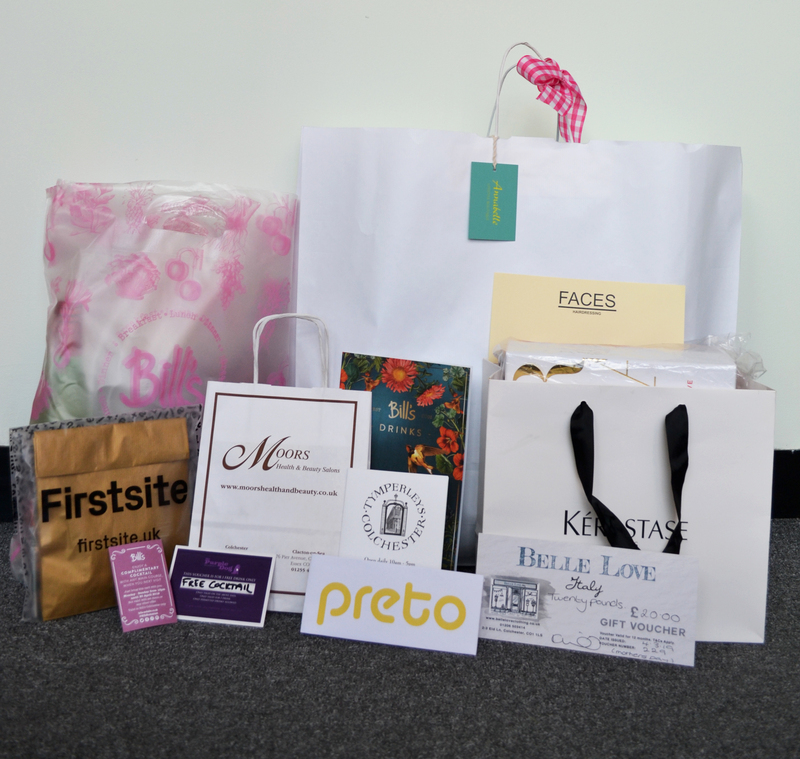 Treat your mother to something special this Mother’s Day and enter our competition for the chance to win our wonderful prize hamper full of gifts donated to us from businesses around Colchester town centre. Jaun, who gave wonderful reasons as to why their Mother should win this prize! We hope you had a wonderful Mother's Day! 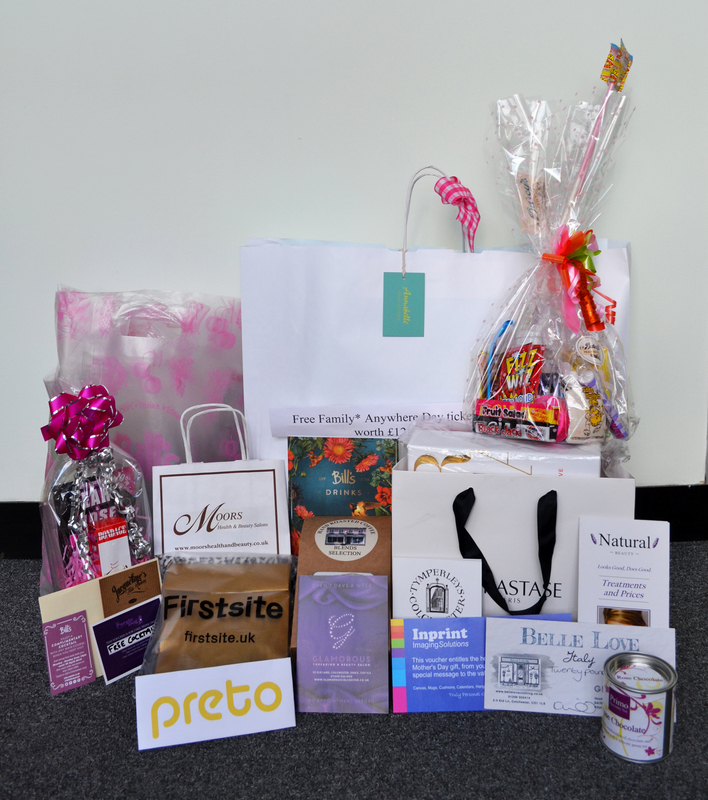 This Mother's Day we are running a competition to win a hamper full of great prizes donated to us from businesses in Colchester town centre for your mother. Alongside this, we are running a Facebook competition for the chance to win more wonderful prizes! have a wonderful range of prizes on offer this Mother's Day. For more details on both competitions, please see below. Bills, Annabelle, Tymperleys, Preto, Chambers & Hedingham Buses, The Purple Dog, Just Essentials, Moors, Belle Love, Guntons, Firstsite, Blue Sky Printing, Faces Hairdressers, Jacqueline's, Inprint, Natural Health Beauty, Two Brews, Glamorous, Darceys. To enter simply tell us, in 100 words, why your mother deserves to win this prize. Please hand your completed form into the Town Hall or email back to hello@ourcolchester.co.uk. We look forward to hearing your reasons why your mother deserves to win this wonderful prize and good luck from us! 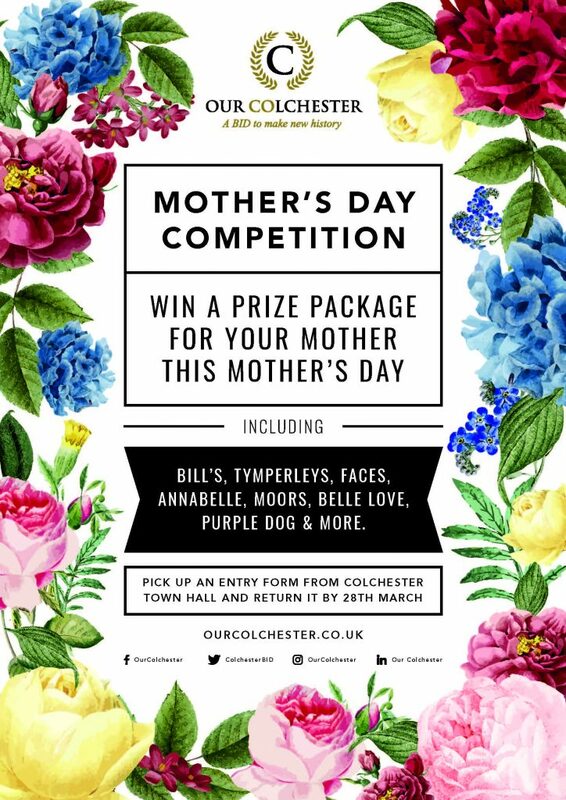 Head to OurColchester Facebook page to enter our #MothersDayGiveaway competition. Simply Like, Comment and Share our post for the chance to win another great prize package. 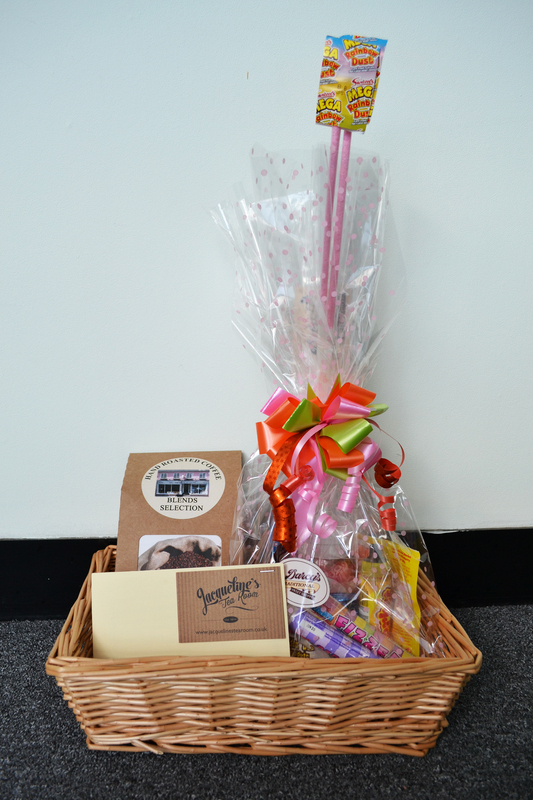 Prize one: Hand Roasted Coffee from Guntons, Afternoon Tea from Jacquline's Tea Room and a Sweet Hamper from Darcy's. 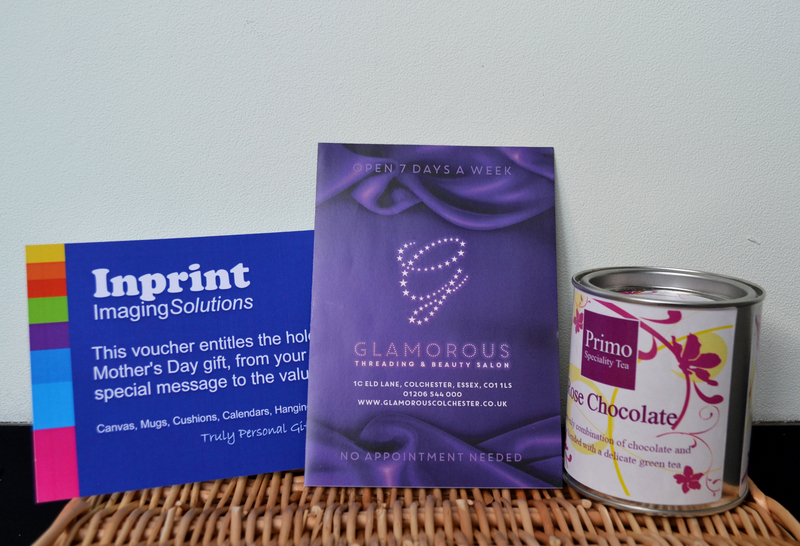 Prize two: Personalised gift from Inprint, Rose Chocolates from Two Brews and Eyebrow Thread and Tint from Glamorous. Prize three: Family All Day Bus Ticket from Chambers & Hedingham Buses, Perfume and Ear Piercing from Just Essentials and Eye Brow Tint from Natural Beauty.